Spring has finally reached Drug Channels' worldwide headquarters in lovely downtown Philadelphia! (See photo at right.) Before your allergies kick in, please enjoy this month’s selection of noteworthy news stories. 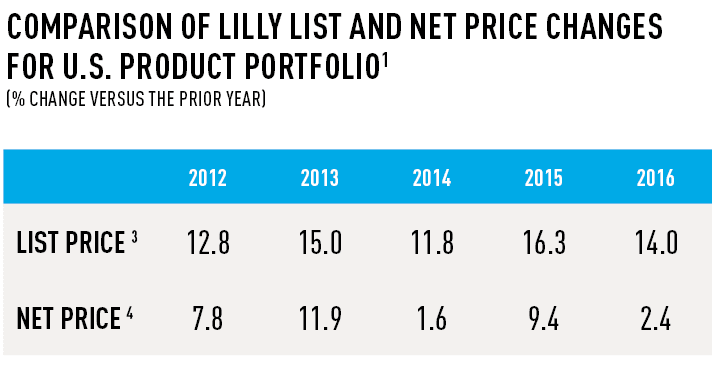 What has Eli Lilly revealed about its gross-to-net discounts? Are CVS Health and Novo Nordisk starting to pop the gross-to-net bubble? Who will win the 2017 specialty pharmacy award? Plus, we celebrate healthcare nonreform by revisiting an innovative infinite-deductible health plan. P.S. Follow @DrugChannels for my daily curated selection of stories and articles from the drug channels multiverse. 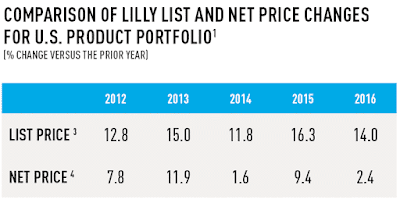 According to an October Wall Street Journal article, the list price for Lilly’s Humalog insulin drug is now more than twice that of the drug’s 2011 price, but its net price had declined. The gross-to-net bubble is alive and well! And speaking of insulin, CVS Health and Lilly’s rival Novo Nordisk have partnered on a new program that will provide some older insulin products at low cash prices to uninsured patients and those with high-deductible plans. Check out the Reduced Rx website for more details. For a look at Novo Nordisk’s views on the gross-to-net bubble, see Novo Nordisk Sheds New Light on PBM Rebates, the Gross-to-Net Bubble, and Warped Channel Incentives. Keep an eye on these programs. As I suggest in The Weird and Wild Gross-to-Net Adventures of EpiPen and Its Alternatives, the growth of lower-priced, cash-paid products with direct-to-consumer discounts could pop the gross-to-net bubble—and reset the pharmaceutical industry’s economics. I speculated on the implications in Scott Gottlieb’s Radical Idea for Disrupting U.S. Drug Channels: Implications for PBMs, Wholesalers, and Pharmacies. I’m on the awards committee and will be there when the winners are announced at Asembia’s Specialty Pharmacy Summit. La La Land is not in contention, so I feel pretty confident that the correct winners will be announced. This article from The Onion ("America's Finest News Source") is worth a few minutes of your time. It's a joke…right?